Investing in a bottle of Aigner will give you a signature scent that works for any casual occasion. 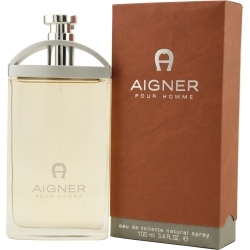 This scent from Etienne Aigner was designed for men who want to make a lasting impression on everyone they meet. The cologne opens with base notes of leather and cedar. These rich scents are matched with the sharp tones of pepper, grapefruit, and yuzu. This scent was first released in 2000, and its subtle power makes it ideal for wear during the day.